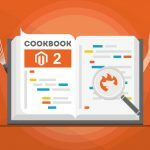 Since Magento 2 provides a very useful implementation of Symfony’s Console component, you can easily perform tons of important actions from a command line interface. 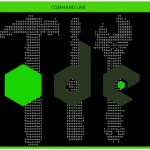 It is possible to reindex, clean cache, generate code, create database backups, and run other commands with the help of this instrument. Moreover, you can easily enhance the existing solution with your own commands aimed at your Magento 2 extensions. Below, I explain how to use Magento 2 CLI tool and what commands to run. 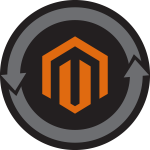 The following post contains a list of commands (magento help <command>) with all possible use cases and parameters. Such command groups as Admin do not have any extended info, as it doesn’t make sense, since a command displays some info itself and there are no parameters to be passed. With this command you can see a list of all Magento 2 caches, each of them can be used for such cache management commands as clean or disable. Cleans Magento 2 cache by type or all cache complete. Disables Magento 2 specific cache types or all cache complete. Discovers phrases in the codebase. Usage: i18n:collect-phrases [-o|--output="..."] [-m|--magento] directory Arguments: directory Directory path to parse Options: --output (-o) Path (including filename) to an output file. With no file specified, defaults to stdout. --magento (-m) Use the --magento parameter to specify the directory as the Magento root directory. Omit the parameter if the directory is not the Magento root directory. --output (-o) Path (including filename) to an output file. With no file specified, defaults to stdout. --magento (-m) Use the --magento parameter to specify the directory as the Magento root directory. Omit the parameter if the directory is not the Magento root directory. Saves Magento 2 language package. Usage: i18n:pack [-m|--mode="..."] [-d|--allow-duplicates] source pack locale Arguments: source Path to source dictionary file with translations pack Path to language package locale Target locale for dictionary, for example "de_DE" Options: --mode (-m) Save mode for dictionary - "replace" - replace language pack by new one - "merge" - merge language packages, by default "replace" (default: "replace") --allow-duplicates (-d) Use the --allow-duplicates parameter to allow saving duplicates of translate. Otherwise omit the parameter. locale Target locale for dictionary, for example "de_DE"
--allow-duplicates (-d) Use the --allow-duplicates parameter to allow saving duplicates of translate. Otherwise omit the parameter. Shows allowed Indexers – get each index names and use them to set mode and reindex. Shows number of dependencies between Magento 2 modules. Shows number of circular dependencies between modules. Sets maintenance mode exempt IPs. 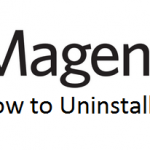 Usage: maintenance:allow-ips [--none] [--magento-init-params="..."] [ip1] ... [ipN] Arguments: ip Allowed IP addresses Options: --none Clear allowed IP addresses --magento-init-params Add to any command to customize Magento initialization parameters For example: "MAGE_MODE=developer&MAGE_DIRS[base][path]=/var/www/example.com&MAGE_DIRS[cache][path]=/var/tmp/cache"
Usage: maintenance:disable [--ip="..."] [--magento-init-params="..."] Options: --ip Allowed IP addresses (use 'none' to clear allowed IP list) (multiple values allowed) --magento-init-params Add to any command to customize Magento initialization parameters For example: "MAGE_MODE=developer&MAGE_DIRS[base][path]=/var/www/example.com&MAGE_DIRS[cache][path]=/var/tmp/cache"
Usage: maintenance:enable [--ip="..."] [--magento-init-params="..."] Options: --ip Allowed IP addresses (use 'none' to clear allowed IP list) (multiple values allowed) --magento-init-params Add to any command to customize Magento initialization parameters For example: "MAGE_MODE=developer&MAGE_DIRS[base][path]=/var/www/example.com&MAGE_DIRS[cache][path]=/var/tmp/cache"
Usage: maintenance:status [--magento-init-params="..."] Options: --magento-init-params Add to any command to customize Magento initialization parameters For example: "MAGE_MODE=developer&MAGE_DIRS[base][path]=/var/www/example.com&MAGE_DIRS[cache][path]=/var/tmp/cache"
Disables specified Magento 2 modules. Usage: module:disable [-f|--force] [--all] [-c|--clear-static-content] [--magento-init-params="..."] [module1] ... [moduleN] Arguments: module Name of the module Options: --force (-f) Bypass dependencies check --all Disable all Magento 2 modules --clear-static-content (-c) Clear generated static view files. Necessary, if the module(s) have static view files --magento-init-params Add to any command to customize Magento initialization parameters For example: "MAGE_MODE=developer&MAGE_DIRS[base][path]=/var/www/example.com&MAGE_DIRS[cache][path]=/var/tmp/cache"
Enables specified Magento 2 modules. Usage: module:enable [-f|--force] [--all] [-c|--clear-static-content] [--magento-init-params="..."] [module1] ... [moduleN] Arguments: module Name of the module Options: --force (-f) Bypass dependencies check --all Enable all modules --clear-static-content (-c) Clear generated static view files. Necessary, if the module(s) have static view files --magento-init-params Add to any command to customize Magento initialization parameters For example: "MAGE_MODE=developer&MAGE_DIRS[base][path]=/var/www/example.com&MAGE_DIRS[cache][path]=/var/tmp/cache"
Displays status of Magento 2 modules. Usage: module:status [--magento-init-params="..."] Options: --magento-init-params Add to any command to customize Magento initialization parameters For example: "MAGE_MODE=developer&MAGE_DIRS[base][path]=/var/www/example.com&MAGE_DIRS[cache][path]=/var/tmp/cache"
Uninstalls Magento 2 modules installed by composer. Usage: module:uninstall [-r|--remove-data] [--backup-code] [--backup-media] [--backup-db] [-c|--clear-static-content] [--magento-init-params="..."] module1 ... [moduleN] Arguments: module Name of the module Options: --remove-data (-r) Remove data installed by module(s) --backup-code Take code and configuration files backup (excluding temporary files) --backup-media Take media backup --backup-db Take complete database backup --clear-static-content (-c) Clear generated static view files. Necessary, if the module(s) have static view files --magento-init-params Add to any command to customize Magento initialization parameters For example: "MAGE_MODE=developer&MAGE_DIRS[base][path]=/var/www/example.com&MAGE_DIRS[cache][path]=/var/tmp/cache"
Usage: setup:backup [--code] [--media] [--db] [--magento-init-params="..."] Options: --code Take code and configuration files backup (excluding temporary files) --media Take media backup --db Take complete database backup --magento-init-params Add to any command to customize Magento initialization parameters For example: "MAGE_MODE=developer&MAGE_DIRS[base][path]=/var/www/example.com&MAGE_DIRS[cache][path]=/var/tmp/cache"
Usage: setup:config:set [--backend-frontname="..."] [--key="..."] [--session-save="..."] [--definition-format="..."] [--db-host="..."] [--db-name="..."] [--db-user="..."] [--db-engine="..."] [--db-password="..."] [--db-prefix="..."] [--db-model="..."] [--db-init-statements="..."] [-s|--skip-db-validation] [--magento-init-params="..."] Options: --backend-frontname Backend frontname --key Encryption key --session-save Session save location --definition-format Type of definitions used by Object Manager --db-host Database server host --db-name Database name --db-user Database server username --db-engine Database server engine --db-password Database server password --db-prefix Database table prefix --db-model Database type --db-init-statements Database initial set of commands --skip-db-validation (-s) If specified, then db connection validation will be skipped --magento-init-params Add to any command to customize Magento initialization parameters For example: "MAGE_MODE=developer&MAGE_DIRS[base][path]=/var/www/example.com&MAGE_DIRS[cache][path]=/var/tmp/cache"
We will keep updating this post as any changes and updates related to Magento 2 Command line tool interface are available.